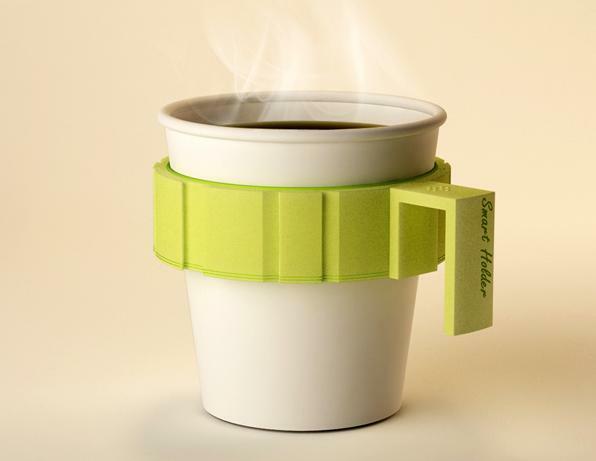 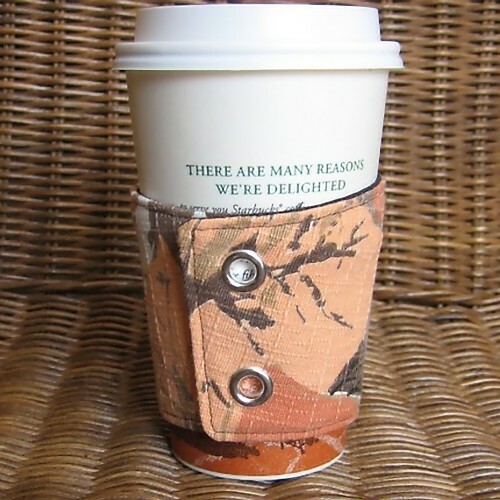 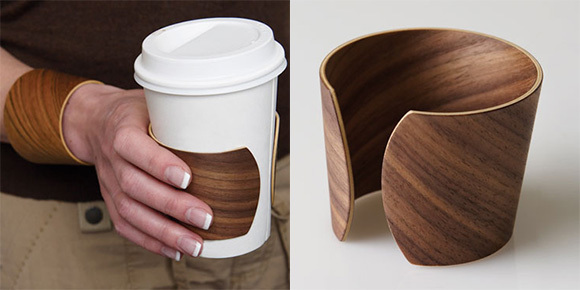 Collection of Creative and Cool Coffee Sleeves, Carriers and Holders from all over the world. 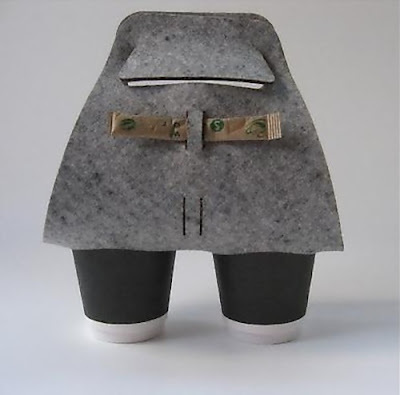 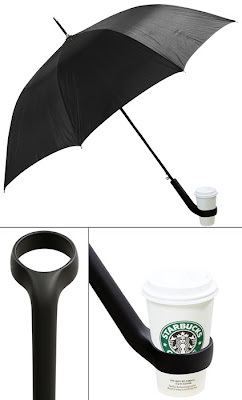 Umbrella with Coffee Holder: Designed by Jung-Woo Lee for Ek Design. Coffee Carrier Bag: Who among us isn't aware how difficult it is to carry two cups of coffee which are filled to the top, managing the car keys & all? 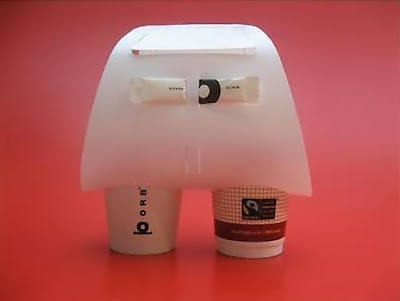 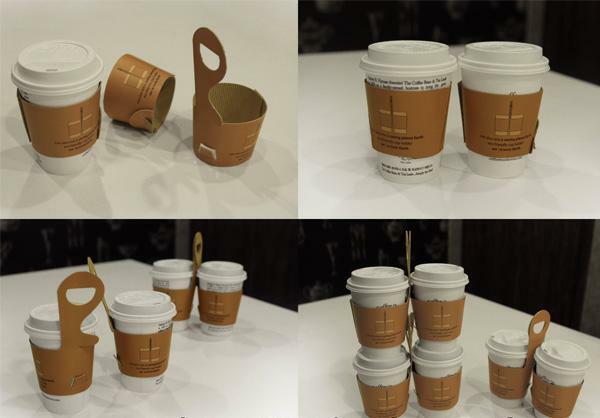 Here's a smart solution: the carry-bag for coffees! 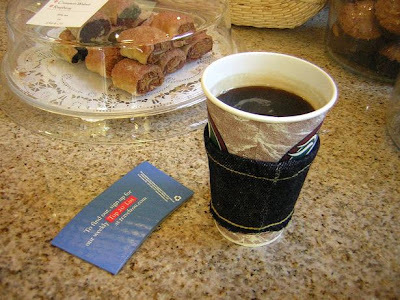 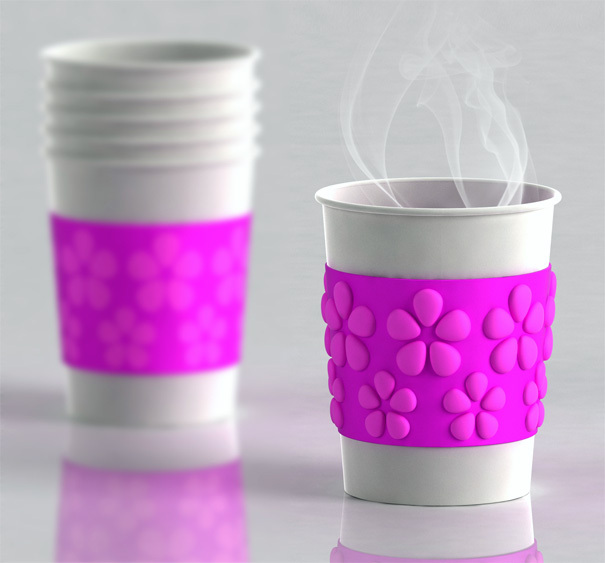 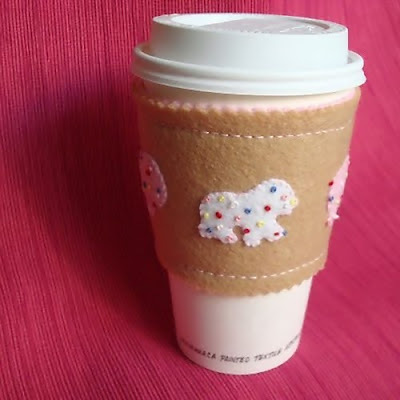 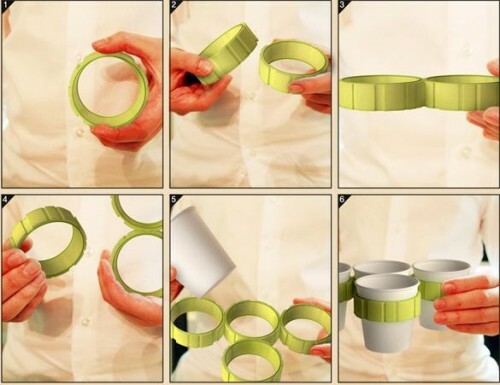 Airshield Coffee Cup Sleeve: The little petals that you see on the sleeve expand when heated and act as a buffer between your fingers and the cup. One Plus One Coffee Cup Sleeve: The "One Plus One" is a coffee cup sleeve that comes with a concealed curved extension, when unfolded and entwined with another sleeve it transforms into a nifty carrier. 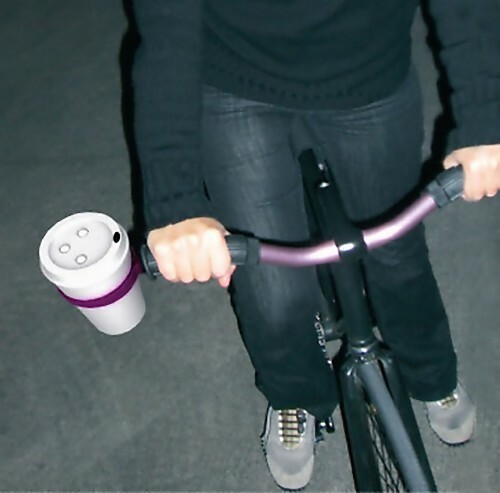 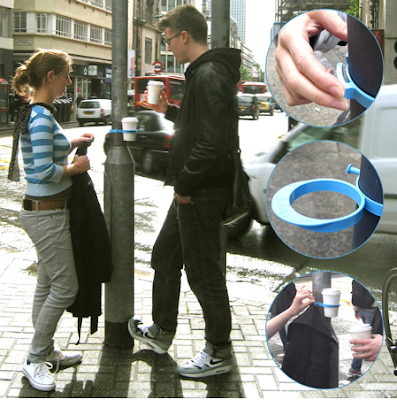 Urban Cup Holder: The cup holder is easily clamped with one hand to posts in the street, and then used as a drink holder. 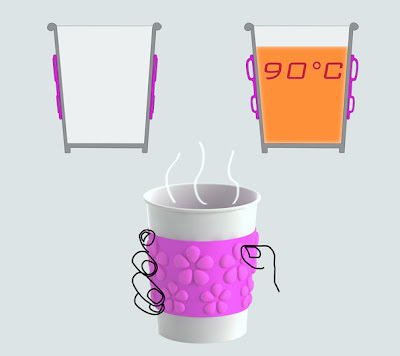 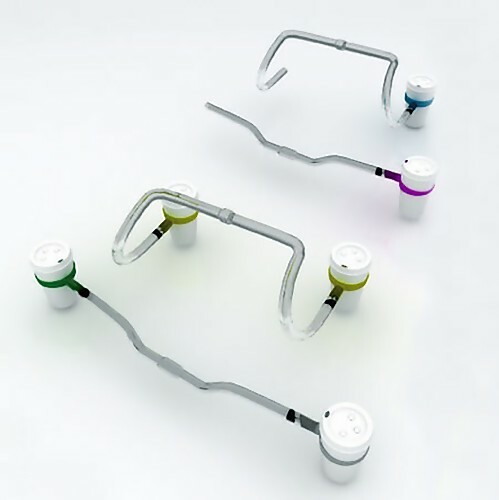 Tota Coffee Carrier: The Tota Coffee Carrier lets you carry up to 8 cups (2 units in each hand) safely with room for stirrers or sugar sachets. 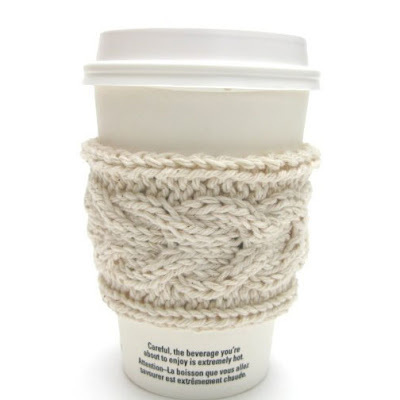 Knitted Coffee Sleeves: Hand knit by artist Jacqueline Dufresne. 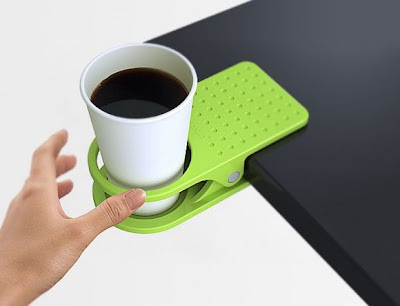 Don't miss to check out "Cool Laptop Cases, Sleeves and Bags - Part: 1| 2| 3| 4."